(Jan. 10, 2019) -- Texas lawmakers got back to work this week for the 86th legislative session, spending the next several months addressing the state’s needs and funding priorities. In a message sent to the campus community just before the holidays, President Taylor Eighmy acknowledged the significant impact the legislature can have on current and future programs offered at the UTSA. Eighmy pointed to UTSA’s Legislative Appropriations Request, which outlines the funding requests the university has put forward to lawmakers. Higher education institutions are expected to present their priorities to the House Appropriations and Senate Finance Committees in mid- February. 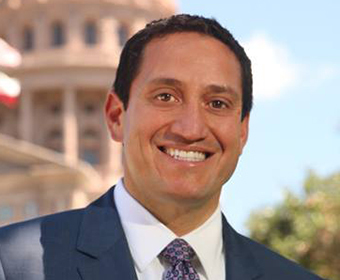 State Senator José Menéndez - Representing both the Main Campus and Downtown Campus, Menéndez was elected to the Texas Senate in 2015. He currently serves as the Senate Committee on Higher Education, Criminal Justice, Intergovernmental Relations and Nominations. 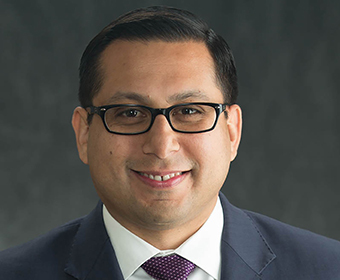 State Rep. Diego Bernal - Representing the UTSA Downtown Campus, Bernal was elected to the Texas House of Representatives in February 2015. 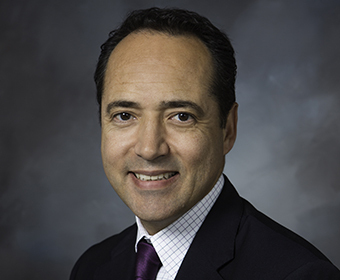 He currently serves as the Vice Chairman of the House Committee on Public Education and is also a member of the House Committee on Urban Affairs and the House Committee on House Administration. Plans for a UTSA Day at the Texas State Capitol are in the works, which will provide an opportunity to highlight the university’s programs and priorities with legislators. In addition, the UTSA will join forces with the San Antonio Chamber of Commerce for VIVA Day at the Capitol on March 5. Both events will involve delegations of students, alumni, faculty, staff and community supporters traveling to Austin to advocate for the university. For more information, visit the Texas Legislature website.